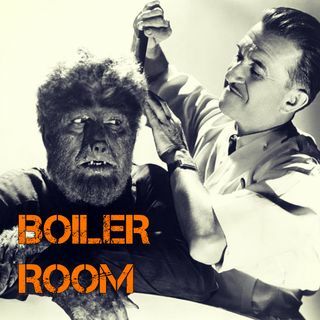 Join ACR hosts Hesher and Spore along side Jay Dyer of the Jays Analysis, Randy J & Andy Nowicki for the latest BOILER ROOM. This week we're discussing a new term coined by Hesher, 'Dis-info-tainment' as it relates to things like Pentagon sponsored video games and false dialectics inserted into the alt-media zeitgeist. We're getting a master class overview from Jay Dyer on Davos and other globalist gatherings that occupy ... See More an often oversimplified space in the alternative media much like Bilderberg, CFR and Trilateral Commission. Peek behind the curtain into a federally funded 'School Shooting Simulator Video Game,' a closer examination of the Hawaii emergency broadcast system false alarm, an update on Adam Kokesh's arrest, and Spore brings us yet another oddity of an ice breaker, the social media fad of young people pretending to eat 'Tide Pods' (plastic packages of detergent for washing machines & dishwashers). Turn it up, tune in and hang with the ACR Brain-Trust for this weeks boil downs, analysis and the usual gnashing of the teeth of the political animals in the social rejects club.